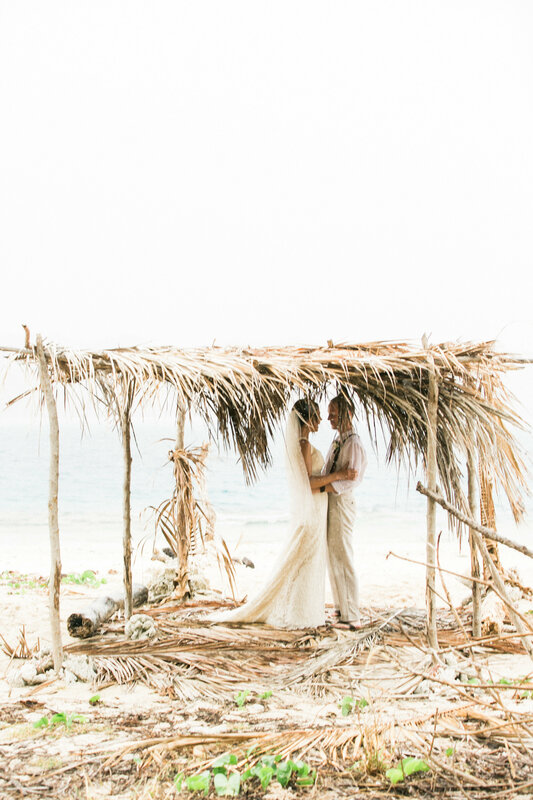 We noticed a trend in the Fiji market for smaller more intimate weddings with style but without the stress and cost of planning an elaborate affair. For our brides & grooms who want the dream destination wedding in Fiji, but don’t have the time, this is the ideal solution for intimate weddings of 2 to 10 guests, with access to stunning locations, top quality suppliers and gorgeous design. Initial complimentary meeting via phone or Skype to establish the nature and extent of wedding assistance required. Venue & ceremony recommendations, reviewing all contracts and management of pricing negotiation, confirmations and deposits. Supplier recommendations, reviewing all contracts and management of pricing negotiation, confirmations and deposits of the following – florist, photography, videography, cake, transport, hair & makeup. Assistance with all required documentation for your marriage license.